Summer is here, bringing heat, longer days, outdoor BBQs, and pool parties. When the temperature soars, pools are great places to hang out as well as keep your backyard cooler. An important aspect to think about when creating a backyard pool area is the outdoor furniture and scale. There is a lot to consider when it comes to size, shape, and materials. Notice how we used bright colors and patterns make each of these unique landscapes look vibrant. 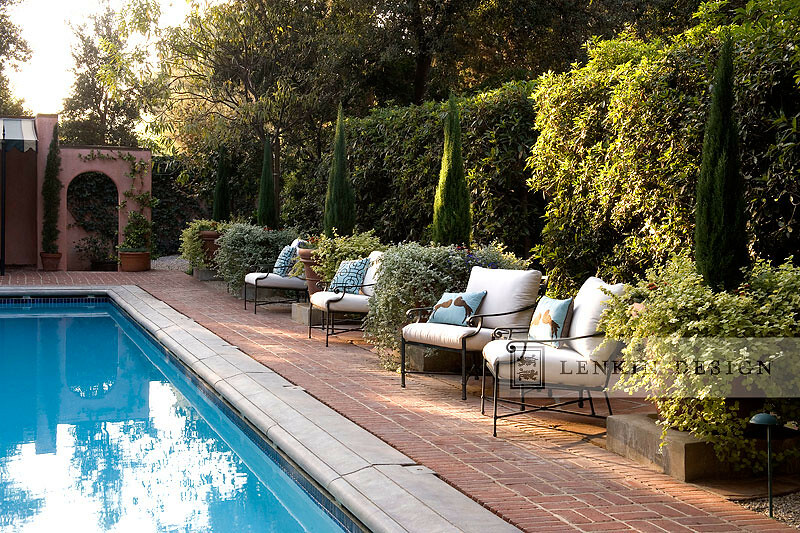 To give the area height, rhythm and depth, we installed twelve concrete bases topped by large urns — six on either side of the pool — each with ‘Tiny Towers’ cypress trees and surrounded by two different liquorice plants: Helichrysum petiolare and Helichrysum ‘Limelight.’ One appears silvery and the other appears more golden yellow. The water feature at the end of the walled area provides color and the sounds of the fountain playing on the masonry and tiles is soothing to the ear. 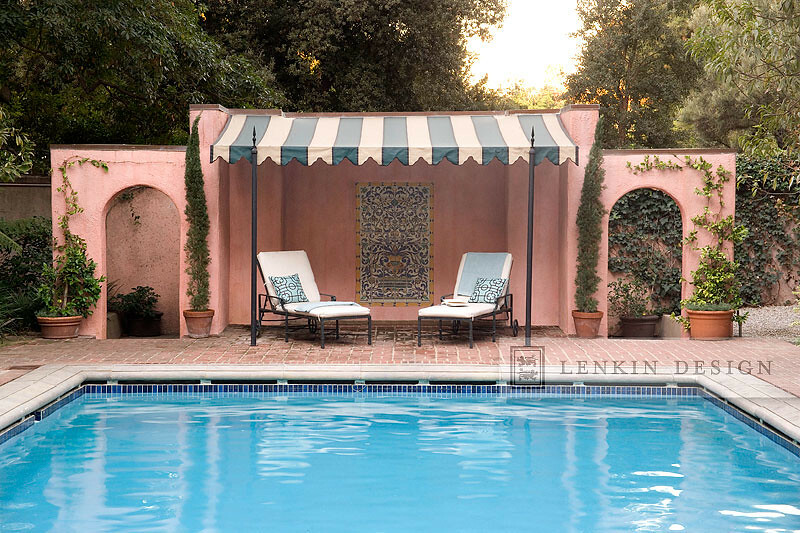 The area is shaded by a striped awning that Heather had custom made to replicate the original 1931 awnings of the house that she saw in an article about the house in Architectural Record of the same year. Grass in between pavers ties the lawn to the pool as well as keeps the concrete cooler on hot summer days. Notice the deep royal blue carried throughout the landscape. 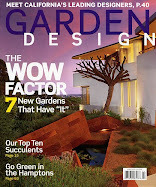 New to this xeriscape landscape is a pool, a jacuzzi, and fire pit. Lawn area was reduced and decomposed granite pathways were created leading to the new ‘fire pit’ snuggled into giant boulders under the shade of ancient deodor cedar trees. In order to conserve water, we eliminated part of the lawn area, installed drip irrigation and put in decomposed granite through which irrigation water and site drainage easily filter back into the water ground table. Unfortunately, we can't watch this clip of "Suteki Ni Gardening Life," as YouTube says it's not available in our country! It was so lovely when they visited us though!